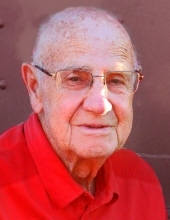 Donald Hugh Glasson, 93, of Ottumwa, passed away Thursday, April 11, 2019 after a brief illness. He was born on September 27, 1925 in Eldon, IA, the son of Walter and Maggie (Hughes) Glasson. He was known to his family and friends from Eldon as Hugh and to others as Don. Growing up, he was known as “DuBell” or “Baby Du”, since he was the youngest. Right after he graduated from Eldon High School, at age 17, he enlisted in the Army. He served as a paratrooper in the 101st Airborne Division, chased the Wehrmacht across Europe and ended the war in Hitler’s mountain retreat at Berchtesgaden. After the war, Don attended Drake University and he graduated with a degree in Pharmacy in 1950. On June 11, that same year he married Helen Harmon (also of Eldon). Helen and Hugh lived in Ottumwa for more than 30 years. During that time, Don was a pharmacist, and later a co-owner of South Side Drug before retiring in 1982. Helen and Hugh built a house in the woods near Eldon, which became their retirement home. It was there that Hugh developed his interest in wildlife and especially “the birds”, an interest that they passed on to his grandchildren. Helen and Hugh both were life-long golfers and enjoyed playing cards with friends. Although they lived in Ottumwa for many years, Hugh and Helen both remained loyal to their home town. They were active in the Eldon High School alumni association and, along with many others, helped to preserve the Opera House and the KD Center. They played a significant role in the struggle to get a visitor center for the American Gothic House. Helen preceded Hugh in death on October 12, 2010. Hugh was an accomplished wood-worker. Being a child of the depression, he was known to be a bit frugal and was the “master of jury-rigging”, often going to great lengths to avoid replacing a worn-out appliance or piece of furniture. He liked to be outside puttering in the yard and garden. In the winter, he did his walking at Menard’s, registering to win a “free car” almost every visit. Don was a great pharmacist in part because he had a fantastic attention to detail that also carried over to his personal life. He had a specific way of doing things and wanted everything to be in its place. One of his favorite activities was running the Dustbuster. Hugh’s passing was peaceful, surrounded by his family. He always hated to wait for anything and so he quietly slipped away almost as soon as he was settled in the palliative care unit. On his last day he remarked on his long and very happy life and said that he had been blessed with many great friends and a wonderful family of which he was very proud. Donald is survived by his three children, Matt (Cathy) Glasson of Coralville, IA, Laura (Tim) Wright of Ottumwa, IA, and Andy (Ann) Glasson of Carver, MN; six grandchildren, Nick (Michelle) Ballard of Eldon, IA, Maggie Ballard of Sun Prairie, WI, Drew (Haley) Ballard of Oskaloosa, IA, Greg (Margaret) Glasson of Carver, MN, Eric (Lacey) Glasson of Ely, MN and Evan (Jenna) Glasson of Chaska, MN; seven great-grandchildren, Braden, Ava, Addy, Iris, Isaac, Owen, and Grace; and many extended family. Hugh managed to spend one-on-one time with each of his grandchildren and great grandchildren and formed a special bond with all of them. Hugh was preceded in death by his wife, Helen; and siblings, William E. Glasson and Dorothea J. Sharps. Hugh wanted to be cremated and have his remains interred with his beloved wife Helen in the Eldon Cemetery. He was very adamant that he did not want a funeral, but grudgingly agreed that we could have a party, “as long as you don’t overdo it.” A celebration of his life will be held in Eldon in a few weeks. To send flowers or a remembrance gift to the family of Donald H. Glasson, please visit our Tribute Store. "Email Address" would like to share the life celebration of Donald H. Glasson. Click on the "link" to go to share a favorite memory or leave a condolence message for the family.